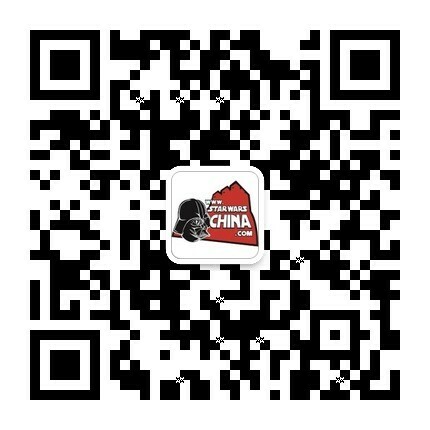 ﻿﻿ 伍基人的飞行双体船（Wookiee flying catamaran） - Databank - 星球大战中文网 Star Wars China - Powered by Discuz! 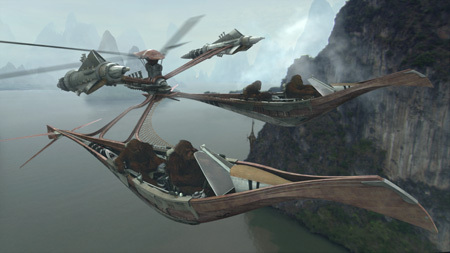 Exotic flying watercraft developed by the Wookiees of Kashyyyk, these flying catamarans skimmed the surface of the freshwater lagoons at terrific speeds, patrolling the shores and defending the beaches from invasion. Flying models with centrally mounted rotor heads provided air support, with the dual hulls providing protection from return fire for the Wookiee crews. Named for a predatory marine reptile of the Kashyyyk coasts, the Oevvaor jet catamarans are as aggressive and agile as the name implies. A compact twinned repulsorlift array lowers the overall weight of the catamaran, while Podracer-style jet engines provide forward acceleration of up to 370 kilometers per hour over water. Some models feature a central rotor head that lifts the entire assembly into the air. Rudders on the end of each hull provide maneuverability in both air and water. The Wookiee catamaran was not originally designed for modern combat, as is evident by its lack of armor and offensive weaponry. Instead, they are refitted sports and fishing craft, with affixed laser turrets. The hulls are nonetheless tough, handcrafted from wroshyr timber. 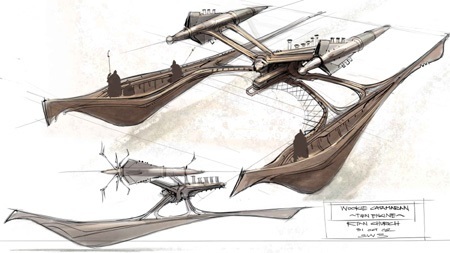 The Wookiee catamaran was first designed as strictly a water vehicle, until George Lucas decided it needed to be part of the Wookiee air force. Late in production, Lucas thought that the catamaran was missing a strong visual indicator of its upward propulsion, and requested that the Art Department affix a rotor head at the top of the engine assembly. This came after much of the original catamaran artwork had been disseminated among the various publishers of spin-off books, so this central propeller is missing from a lot of the printed works.